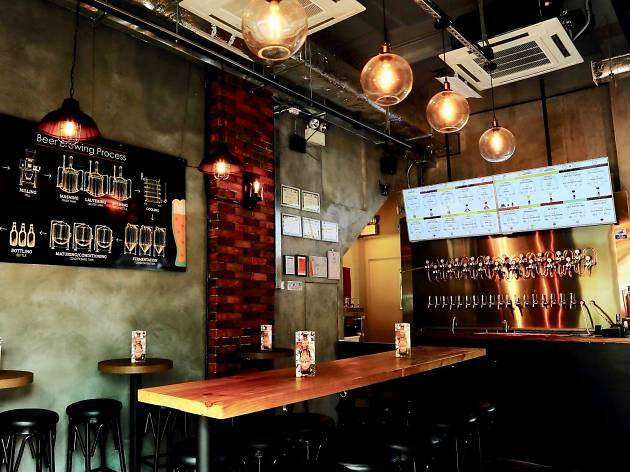 The Kowloon Taproom, T.A.P – The Ale Project, The Oak Crafted and now, The Madhouse – Yau Tsim Mong is officially the place to be in Hong Kong for craft beer. This latest addition – whose name belies the reality – is a cosy, modern and robustly stocked little beer joint. There’s not much else to The Madhouse and there really doesn’t need to be. No lunacy then, just a bloody good bar for the discerning drinker who wants to sample some of Europe and Asia’s finest craft beers. The small, sparsely decorated bar can seat up to 30. It’s a compact space but one arranged smartly enough that you still have room to manoeuvre. The beers and ciders housed in The Madhouse’s 18 taps are displayed on screens above the bar making everything decidedly clear and concise. They’re supplemented by a further 10 bottle and can options displaying a decent geographical reach from Europe to Australia and Hong Kong. Between the information supplied on the screens and the three bar staff offering suggestions to querying customers, we feel plenty able to make an informed choice and kick off with an Aussie cider by way of Bulpin (200ml, $48). It’s crisp, balanced and isn’t overly-sweet – a good suggestion from one of the attentive barmen. Next up, we opt for the Aegir Rapa raspberry pale ale (200ml, $48). It’s another winner – subtly flavoured, refreshing and poured heavily enough to release the carbonation without leaving the beer flat. Top marks so far. To finish, we try one more cheeky half by way of the excellently named Run to the Pils (200ml, $48). It’s another Norwegian export, one that’s noticeably more complex than our first two choices. The pilsner starts sweet before developing a satisfying bitterness on the back end. Fact is, when it comes to a great craft beer bar, there’s no need for hidden entrances or any of the other affectations that blight many a cocktail bar. The curation of the beer and its delivery should do the talking. And The Madhouse gets that exactly right. 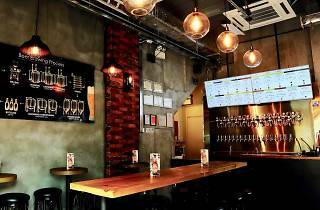 Welcome to the Kowloon craft beer family.